As the winter and ski season come to a close - there's never a better time to spend the weekend in the mountains. The month of April is full of great spring celebrations and lots of sunny ski days. Our own travel experiences, as well as our guests' feedback, has taught us a thing or two about efficient ski travel. There's an art to traveling with your ski or snowboard gear. A few pro tips can make all the difference. 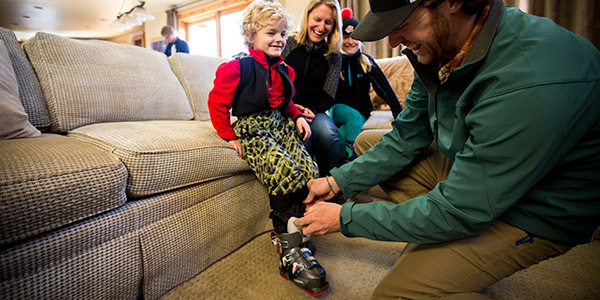 Traveling with your ski boots is always a good idea. Just about everything can be replaced at the mountain. But not a good pair of ski boots. It takes a long time to break in boots, and the only thing worse than losing a pair of perfectly comfortable ski boots is having to start over with a new pair. For more tips on traveling with ski and snowboard gear, check out spring skiing travel tips post on TravelSquire. However, for our average guest who stays six to seven nights during the winter, the easiest way to travel is to skip the gear-schlepp factor altogether and rent equipment in Aspen. We at Frias Properties recommend renting your ski gear from Four Mountain Sports. Not only do they offer a huge selection of top-of-the-line equipment, they also provide free rental storage and inter-mountain transfers each day. 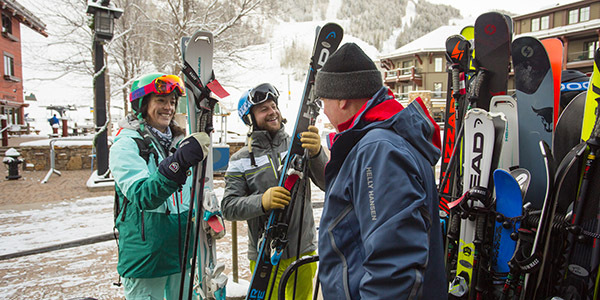 For a more full-service experience, reach out to Ski Butlers. They deliver all ski and snowboard rentals to your door, will fit you in your condominium, and will provide on-mountain support for new fittings or gear trades for specific snow conditions. Plus, all Frias guests receive exclusive discounts with Ski Butlers. Grab your sunnies and ski boots and head to the mountains for the weekend. Contact our Reservations Team now to get lodging set up for your next trip.